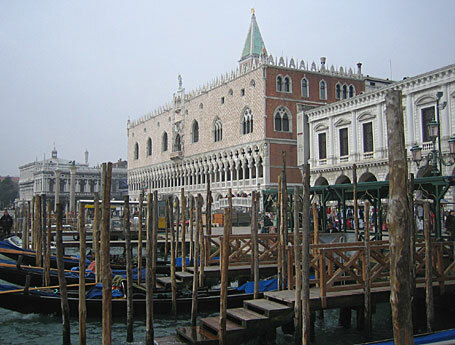 The city of Venice is famous and unique for its structure alone, which extends over approximately 120 islands separated by numerous canals all connected to each other by over 400 bridges. Padova, (Padua) has been protagonist of Venetian history from ancient times. It was already an important centre during the Roman era - the historian, Tito Livio, was born here in BC 59 – as documented by the remains of an Arena. Treviso is a city of wine and gastronomy, but also a city of Art, and above all, a historical city which has remarkable architectural monuments, mainly linked to its medieval period, which are preserved in an excellent way. Vicenza, known in past times as Vicetia, is situated in an area of Veneto, which includes on one side the Prealpi and the other side the Monti Berici: a location, which with the running waters that cross it, form a characteristic panorama. More than one hundred high class mansions embellish this city which due to its architectural quality, attests as a Venice on the mainland.